I’ll admit, if you haven’t been following this year’s highlight trend as closely as the presidential race, you might have missed this one. 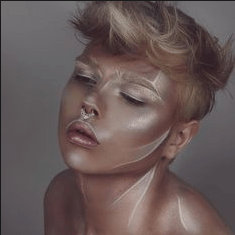 Highlighting, or strobing, is about “using reflection on high planes and points of the face that catch the light to create spotlit areas,” according to Alex Box, the creative director of Illamasqua (source). 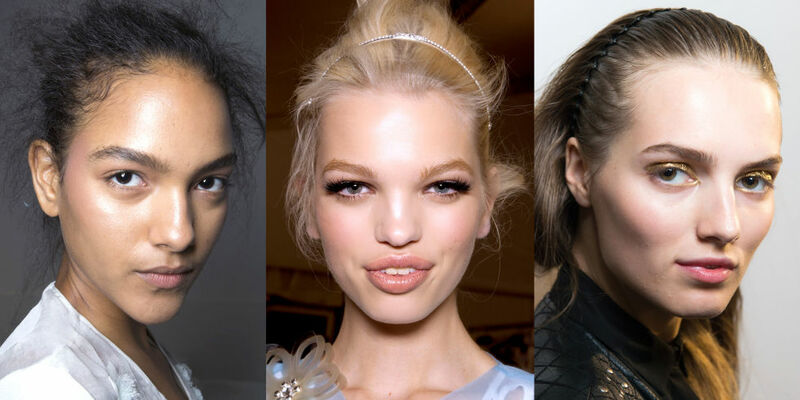 Well this year, the beauty world took highlighting to an extreme. 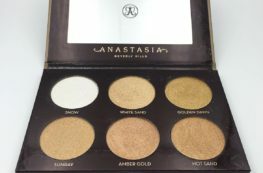 Particularly, Anastasia Beverly Hills, the the brow goddess, expanded her product line from brows only to eyes, cheeks, face and yes – loads of highlighting palettes. 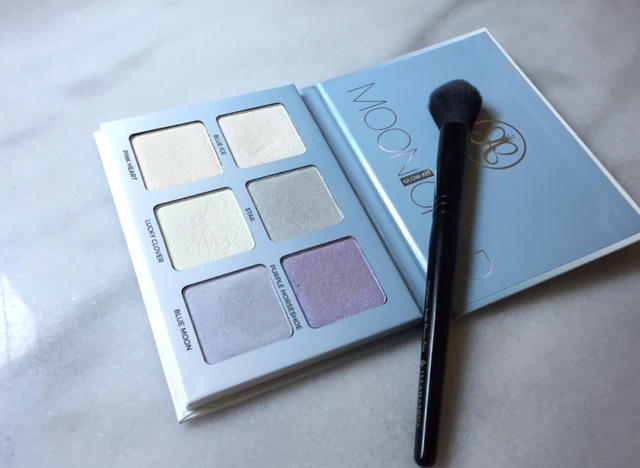 One of the most popular – and wonky – of those palettes was the Anastasia Beverly Hills Moonchild Palette. Because this palette is filled with mostly blue-hued highlighters, along with a yellow and pink. 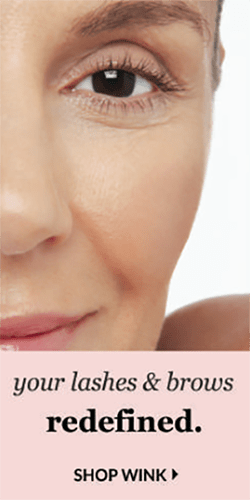 It’s perhaps the highlight palette that wasn’t made for anything useful at all, beyond editorial makeup. Yet it was massively popular this summer. But why? Admittedly, most of the looks were editorial, but then again the top artists often just do that anyway. 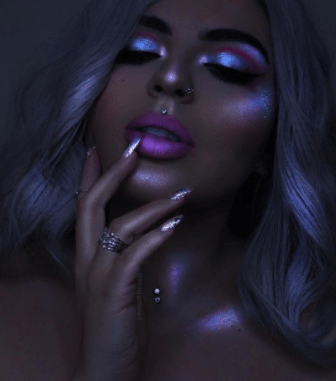 The more pictures I saw, the more I really loved the way the Moonchild Glow stood out against every skin tone: it was really the pinnacle of the highlight. It was the blurred line between every day and editorial, between reality and fantasy. 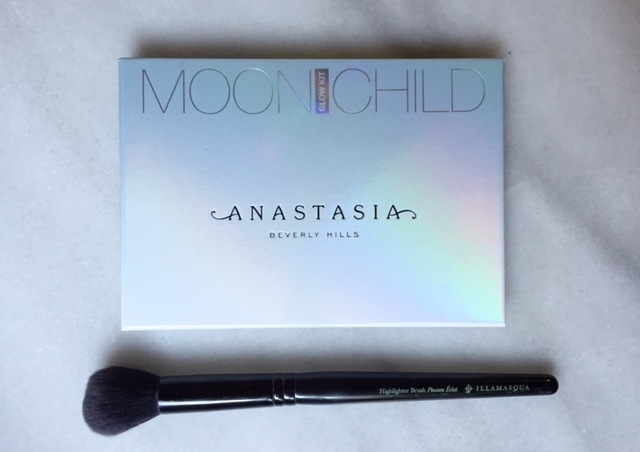 Thankfully, unlike a lot of ABH’s website, the Moonchild Glow Kit is a staple, not limited edition, so they keep it stocked. It was easy to grab one (you can do so here). I almost choked when I saw the price tag: $40?! For some pressed powder?! After all, all eyeshadows, highlighters, blushes, bronzers.. they’re all just pressed powder that costs PENNIES! But people said that Anastasia Beverly Hills was THE only company making real highlighters this summer, with real knowledge of how to do it. 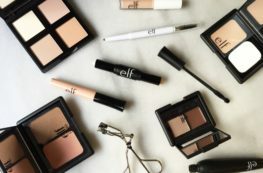 Jeffree Star – everyone said – didn’t know what he was doing with his collection. Personally, I don’t support Jeffree because he is a bully, plain and simple, so the thought of purchasing one of his highlighters, which border on eyeshadow pigments, wasn’t crossing my mind. 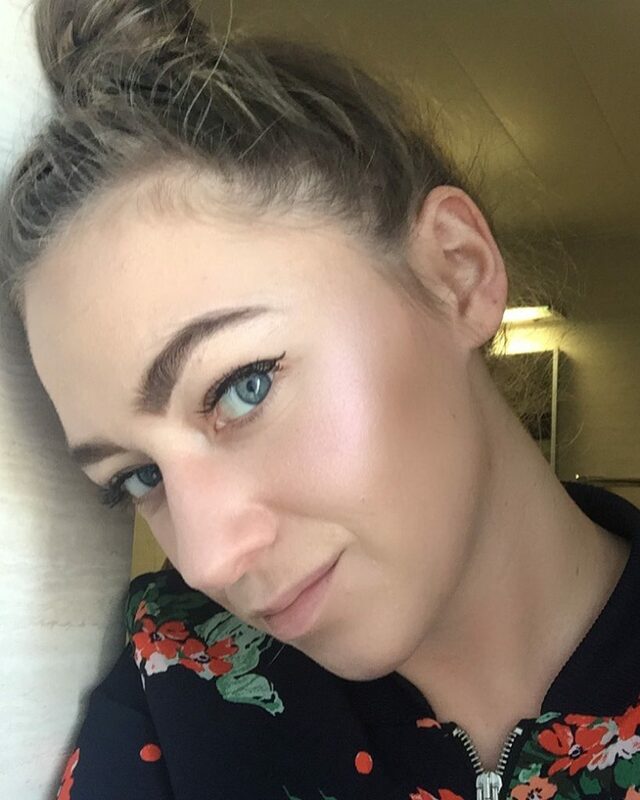 When my Glow Kit arrived, I fell in love. The holographic packaging, light but highly pigmented colors with perfect light reflection.. it was a match made in heaven. Except that it wasn’t — I was too scared to wear these shades out in public. I had to wait until one night when I was going to a club with my friends. “This will be the night,” I thought. Boys just don’t get it, do they? Well some of them do, obviously, because Thomas Halbert (above) slays my existence with his looks. But most boys don’t get it. Maybe I looked silly. I embarrassedly wiped the highlighter off my hot cheks with the back of my hands. “Whatever.. I tried,” I thought. I didn’t pick up the palette again for 3 or 4 weeks. Some of the ABH products I had returned quite soon after purchasing; I didn’t like the quality, this was too dry, that wasn’t pigmented.. but I kept the Moonchild for some reason, even though I was too afraid to wear it. 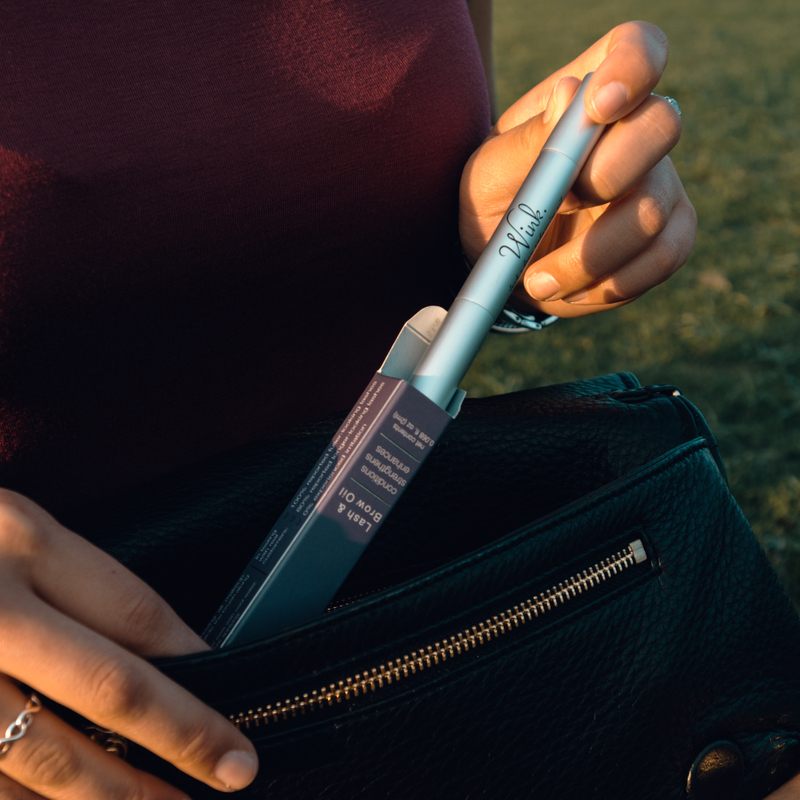 Moonchild for me became a kind of “perfect red lipstick” – the product you hold dear for special occasions, but rarely – if ever – wear. One day I had finished my makeup and I spotted the unused kit out of the corner of my eye, sitting there, waiting for me to be brave. I tried on “Blue Ice” again, and admired my sculpted cheekbones (they’re not normally like that – it’s just the product). I’ve slowly fallen in love with the Moonchild palette because of the confidence that it gives me to stand out and be proud of my beauty choices. And that’s what makeup is all about. For me, Moonchild is a symbol of bravery: a bold red lip on a bareface, a swatch of yellow blocking on the eyes, a little pop of color here or there. 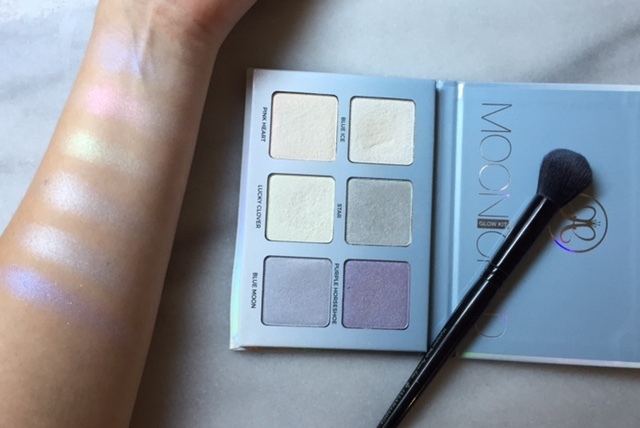 Moonchild may stay with 2016, but I doubt the highlighting trend will die so soon. 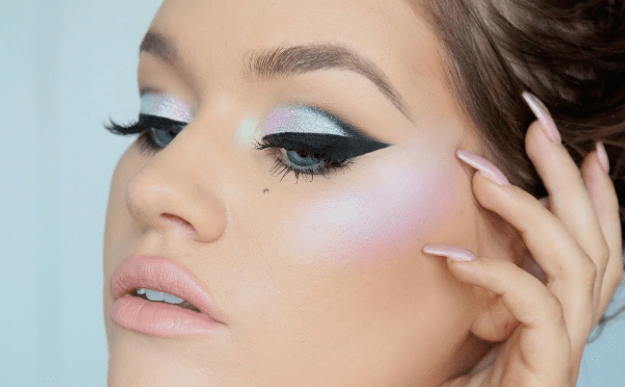 Highlighting has taken over this year, much like contour has filibustered the past 3 years in beauty; I don’t think it’s going anywhere anytime soon, but it may evolve. If you’re ready for Spring 2017’s colorblocking trend, I suggest you hop on board with Moonchild now. 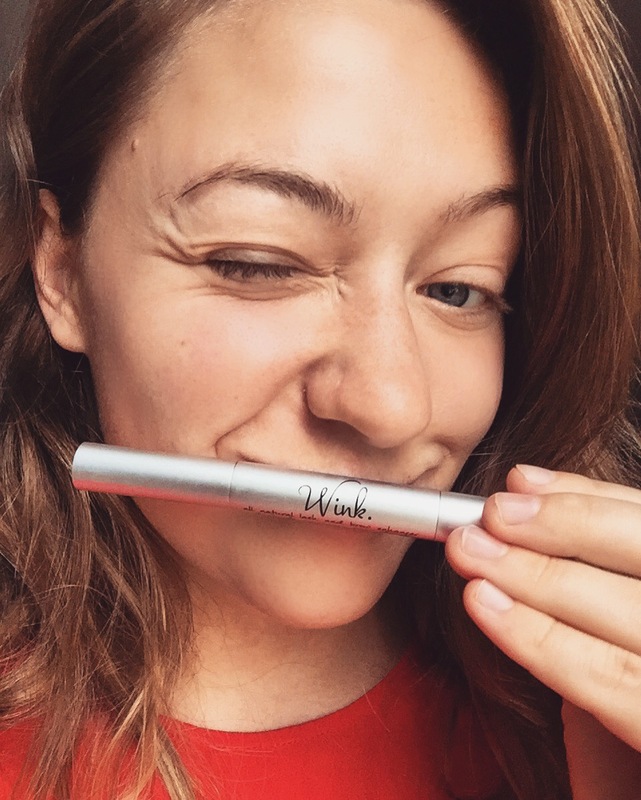 Simple, bold statement makeup is officially in. Awesome blog post Thanks sharing it. awesome review! girllll you look so good in it btw!! !